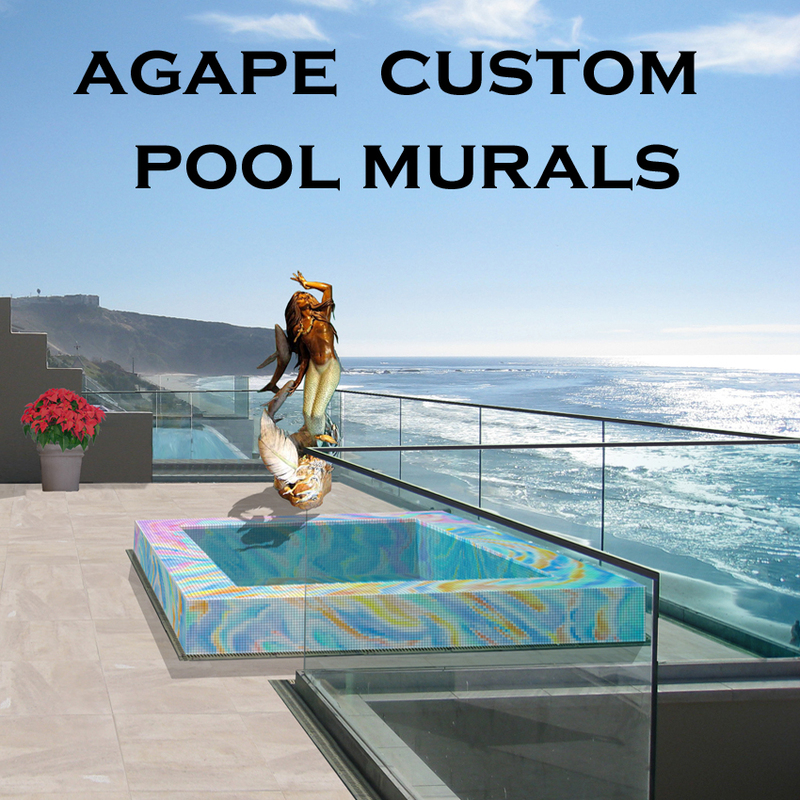 Agape Tile LLC is an artistic consulting and design company. 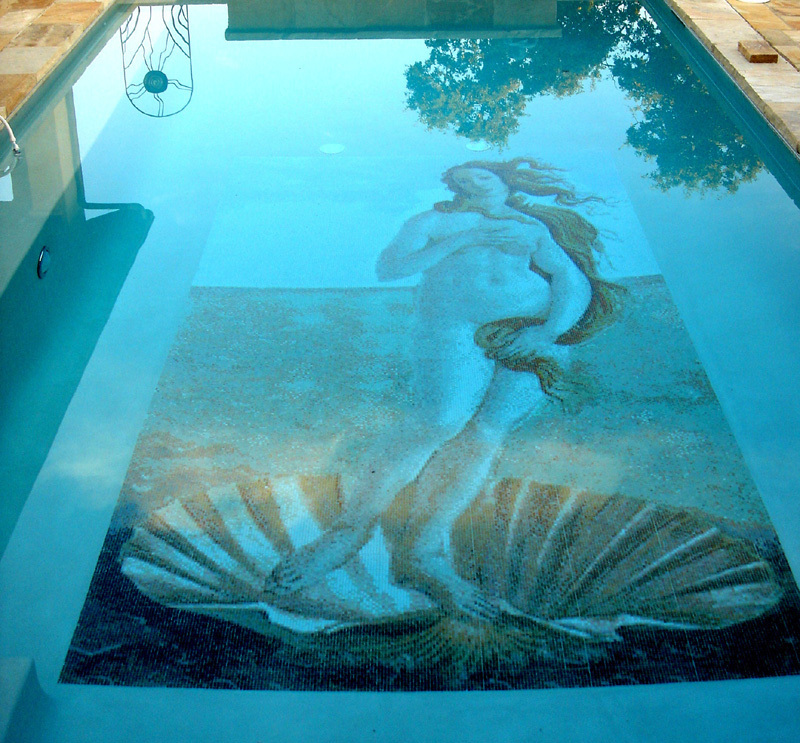 We have specialized in aquatic design for over 27 years and have been creating murals for residential and commercial installations for over 34 years. 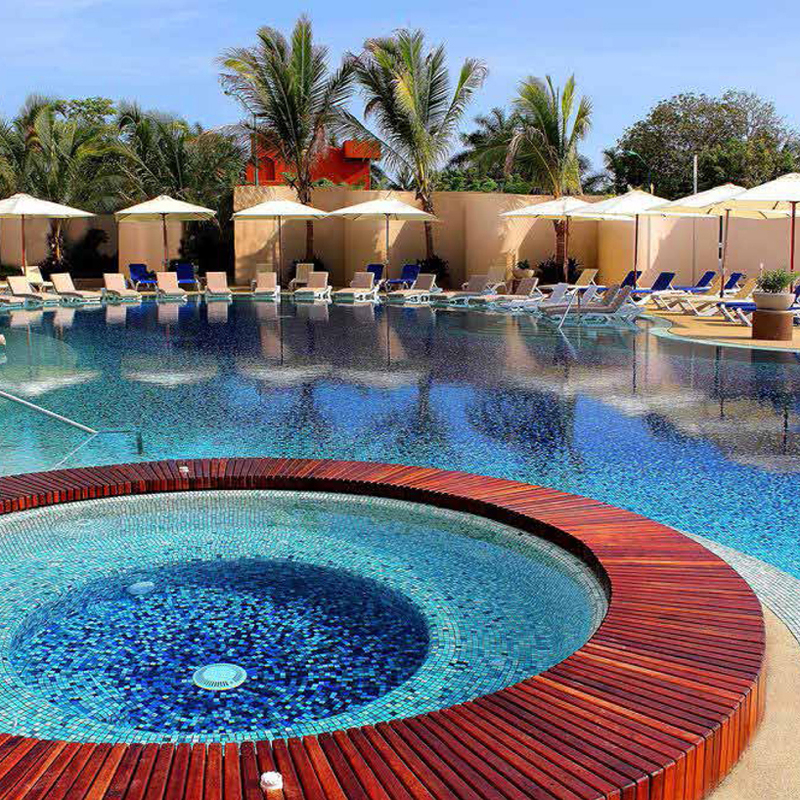 We provide you with custom design options for swimming pool and spa interiors and exteriors and pool environs in a timely manner and at an affordable price. 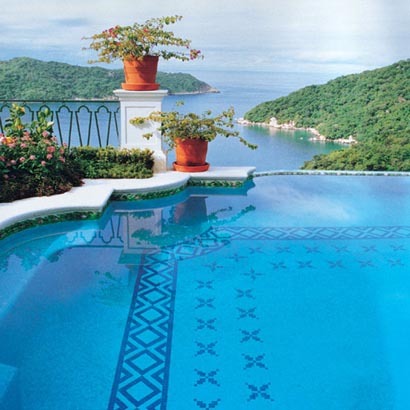 Our custom waterlines are typically delivered in two to three weeks. Simple murals in glass have a similar delivery point. 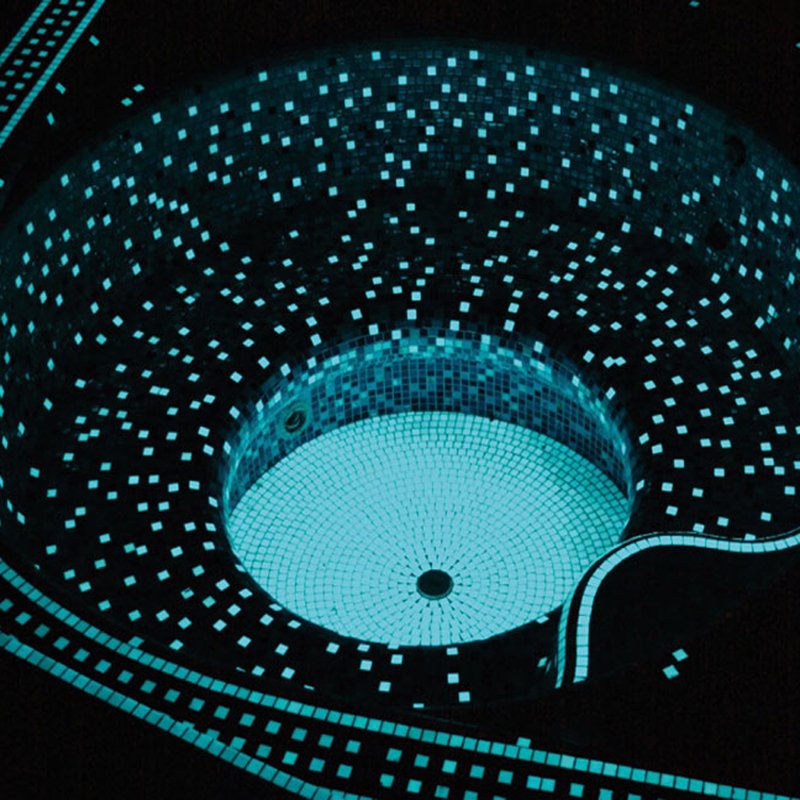 Detailed hand cut murals may take four weeks to arrive. 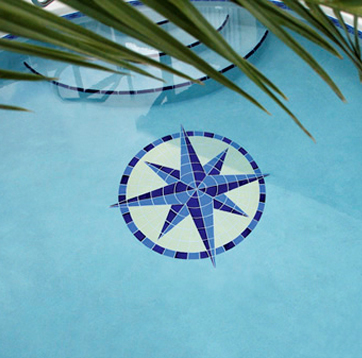 For all tile pools, please call us well ahead of your desired installation date. 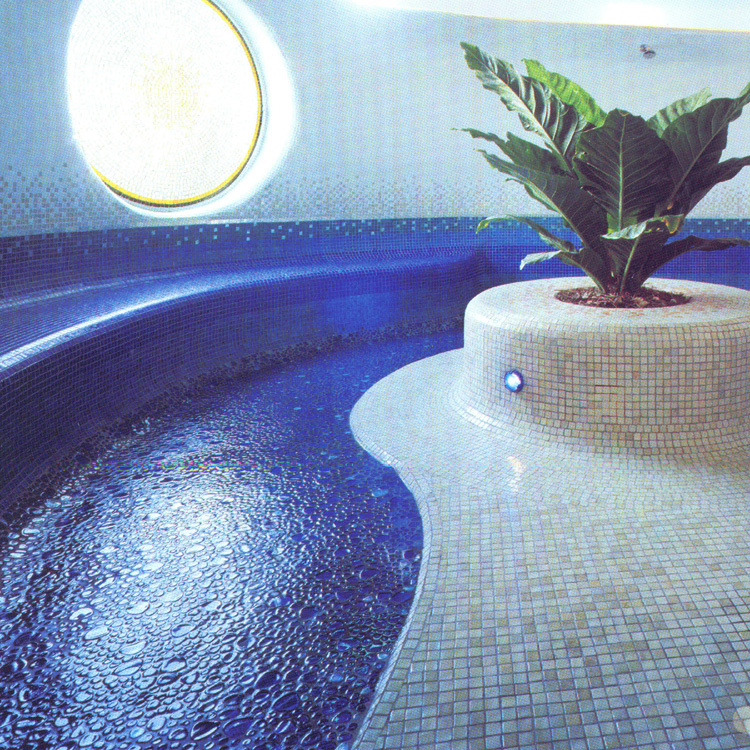 At Agape Tile we turn ideas into reality and transform concepts into completed magnificent installations. 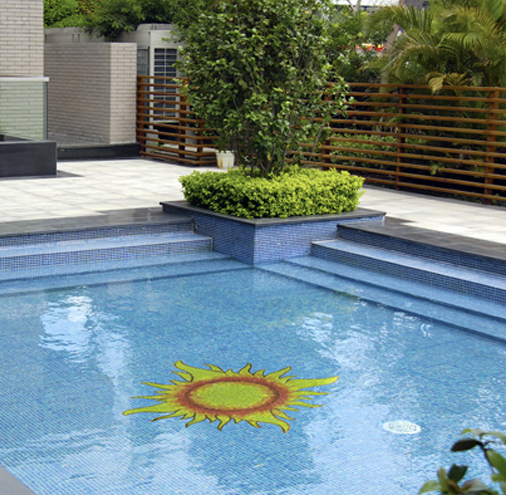 Should you need field tile, we are distributors for Bisazza (discount offered), Vidrepur, Aim, Kolorines and Mosai and Co. 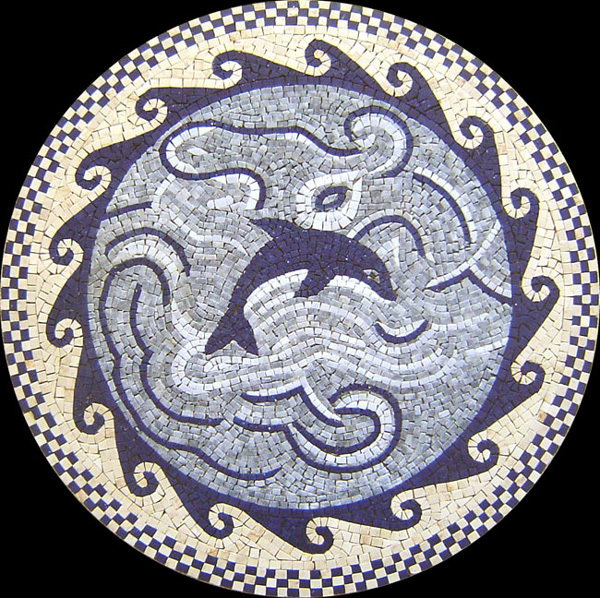 Ceramic lines offered are Fujiwa, National Pool Tile, Dal Tile and Artistry in Mosaics. For shell and gemstone, we are the U.S. Distributor for Mactan Fine Shell and Aqua Imperial Shell and Semi-Precious Gemstone.